In this guide on how to sell on Jumia, am going to detail how to begin and start marking money on Jumia. This is a systematic guide, therefore I will urge you to grab a cup of coffee and read through. However, before we begin, you need to understand that Jumia is an online e-commerce site that makes its money by providing a platform for vendors to sell their products. Jumia works just like Amazon, ebay and Alibaba. Jumia Kenya opened shop in 2013 and within a span of just 5 years, it has over 16 million customers in its books. This makes it a fertile ground for any vendor seeking to sell on Jumia. Kenya leads Africa with the mobile phone subscription and being the 7th most populous nation in Africa, you can take advantage of this begin your shop on Jumia. Look at the stats below. Mobile penetration in Kenya is at 90% more than anywhere else on the African continent. Have a look at these stats. This guide is for sellers in Kenya but equally useful anyone in Africa where Jumia is present. Jumia lists so many kinds of products and are constantly looking for people like you to help them meet there obligation. If you have anything to sell, you are in right place. It is very unlikely that you do not have account for which you use to make purchases on Jumia. In case you do not have one, then you can read this blog post and open one. If you have one, good enough. Let us now see how to open an account that will make you sell on Jumia. This guide is for Kenyan readers however if you are not in Kenya the procedure it still the same. Now go to https://jumia_form.formstack.com/forms/become_a_seller_kenya by following the link. If it does not work, copy and paste it in your browser. The screenshot above show the top of the page. It shows the steps you need to go through to have you have full registration. On the same page, if you scroll down, you see part of the page that looks this way. This is where you fill the company details. Fill in every detail that is required. This includes your name and email address. Chose appropriately if you were referred or not. Fill in the preferred Business name. Look for a name that is short and easy to remember. Next, choose whether you are an individual or registered company under the business entity. Once you have done this, fill in your address, resident city and postal code. Lastly choose whether you can drop your products in Nairobi or not. This is very important especially if you are not in Nairobi. If you scroll on the same page, you get part of the page that looks like this screen shot below. This is where you choose your main product category. Again choose whether, you are selling on other websites or not, then finally choose to agree to Jumia’s terms and conditions. When everything is good, hit the register button. As you can see, you have a thank you message, which requires you to go to your email to activate your account and setup your password. If you have been creating your account as you read this, then it is time to go to your email. OK, I hope you have gone to your email, checked it and clicked on the activation link. If you have done this, I do hope you page looks like this. Now enter your new email and confirm it by repeating it. Once you are done, hit the save button. You should be able to see a page that confirms that the password has been changed. Now, log in with your new password. Hurray! 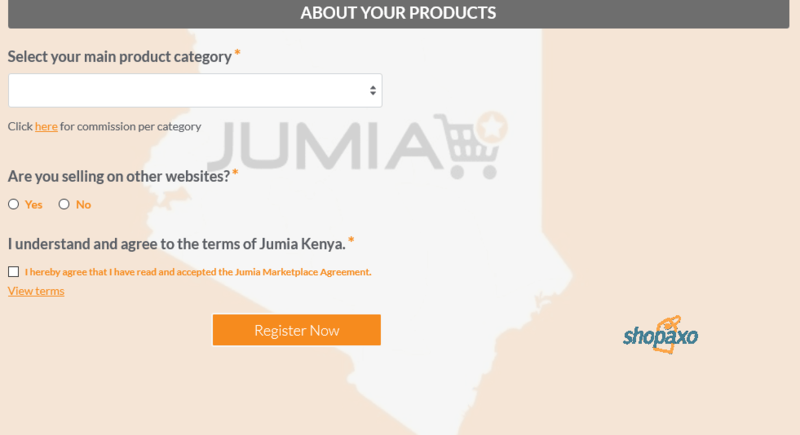 Now you are ready to begin selling on Jumia! Your page should look like this. You doing well to this point, but before you can understand how to sell on Jumia, here are a few thing to do. Now we reached a page that looks like the screenshot above. If you look at the top right , you should be able to see the name of your store. In my case, this is Juventus. There are a few other things you need to do before getting started, if you really want to know how to sell on Jumia effectively. Scroll the page downwards and you should be able to see the seller information. 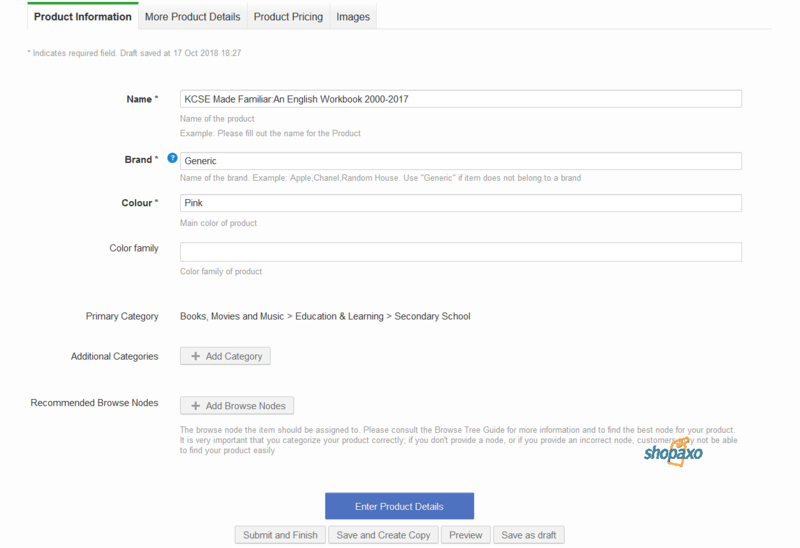 Here you will see the seller ID, e-mail address, your name and the name of your shop. This is the information you submitted earlier, so it is already filled up. Continue scrolling down and you will see business information sub-section. Fill in the required information which includes the business registration number. Below this, you will find the shop information. Again, fill in the required information, which you will be required to select from the drop menu. If you are happy, fill in the bank information and the customer care information. Off course, your bank information is for your payments. The customer care information is about who will handle questions regarding your shop, which is your customer care service. Finally, list holiday dates for your shop. This are the dates your products will not be online. However, you can process pending orders. Once you information has been saved, on same page, at the top left, you will see Products Menu, click to reveal a drop menu. As you can see, you can search for the category to which to add you product. Alternatively, as in the screenshot, categories are shown from which you can choose. If you click on most used categories, it will be empty since you have not yet added products. Choose the category that best suits your product. For the purpose of this guide, I will choose the books, movies and music category as I show you how to sell on jumia. If you do this yet another more specific sub category is brought up. In my case, I select secondary school. Click on that. This brings you to a page that you have to fill in the required information. See how I filled up mine. Once you are done, click on the Enter products details button. Fill in the tax class under tax, if you are not sure select default. Choose the product specification, which is the product size, for example for my book 10cm by15cm by 1cm. Fill in the main material, for example plastic or paper and lastly indicate the weight in Kilograms. Write a product description. This is important, as it is what will sell the product. This is what your potential customers will be reading to decide whether to buy or not. Add any additional product information, though this is not mandatory. Lastly select the group, this is whether the products are locally made or not. Once you are done, hit the Enter products variations button. The next page asks you to fill in the product price. Fill it up. However, you should be careful to fill in the information correctly. I have left the variations box empty. If your case, if you have variations of the same product, please include them. The Seller SKU is a unique number you assign to that product. Fill it in. This means you have to have a very good inventory of your products to avoid double entry into the system. Fill in the quantity of items you have , as you can see, in my case I have assigned nine. Put in then the Price and sale price. Off course, the price should be greater than the sale price. Again, the sale price is what you are going to receive for the product less the commission you are paying to Jumia. Then select the start date for the sale and the end date. Once you are done, hit the upload images button. Here you are supposed to enter in the images of the products. You should have prepared this earlier enough. Moreover, as you can see, the images must be at least 500px*500px and a maximum of 2000px*2000px. Get good images that actual depict your product. There are free images online you can use. However is you have a good camera, you can make use of that too. To make sure that images are of good quality, use online image editors such as Ribbet or PicMonkey. If your images look good, then upload them. I always advise that you upload as many images as possible to give your customers a good picture of the product they are buying from you. Honestly speaking, I buy so many products on Jumia, my attention is caught by the vendor who provides good, vivid and many photos of the product. 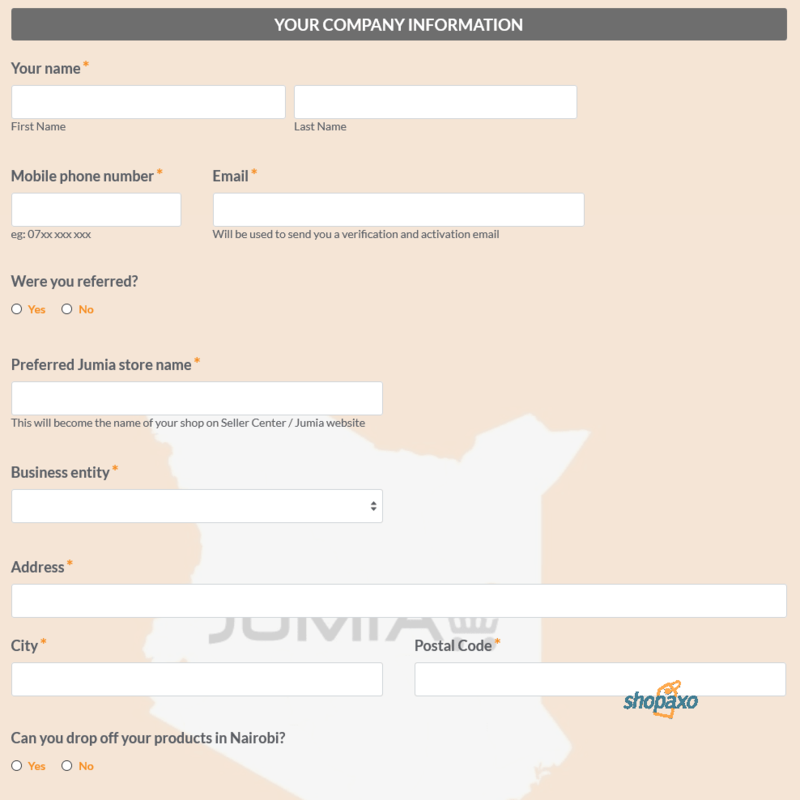 Submit and finish– Once you do this, Jumia will look at your submission and if OK, your product will go live. If it fails the moderation, you will be informed accordingly so that you can make the necessary amendments. Save and create a copy. 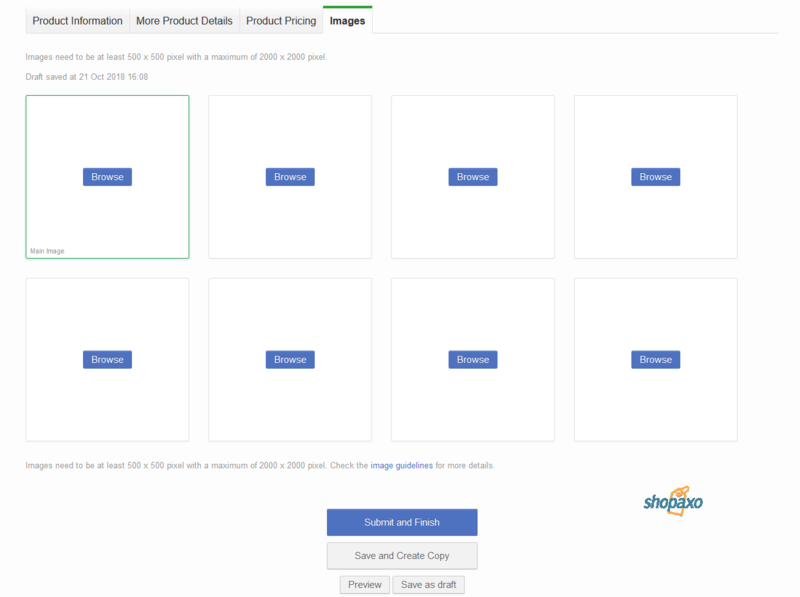 Preview- it is important to see how your product looks like to your customers. I encourage you do this before submission for review. Congratulations, you have listed you first product if Jumia accepts your submission. All you have to do to list more products, is to follow the procedures above. One more thing, it is important to go to all links on your seller center to understand how it works. To manage and understand how to sell on Jumia effectively, you will have to go through every detail and understand it. If you are stuck and have question, fill free to contact us. Make sure you go through the training provided before you proceed. This vital if you want to learn how to sell on Jumia and be successful. Questions and answers on how to sell on Jumia. So many times I receive questions relating on how to sell on Jumia. I have compiled such in a bid to give straight answers. Here are the some of the common questions I receive. Must I have a physical shop to sell on Jumia? No, however you need to have somewhere where you can store your products for effective delivery to Jumia. Must I be in Nairobi? The answer to this question is No. Jumia has offices in most Kenyan cities. However you may need sometimes to deliver products to Nairobi as most jumia customers are in Nairobi. What products can I sell on Jumia. You can sell visually anything. Please check on the categories to find out what you can sell. Does Jumia set the price of the products? As a vendor you set the best price possible. Jumia does not set the price of your products. Must I have company registration information to register? You may need this information if you signing up as accompany, however if you are doing so as an individual, you do not need this. It is the responsibility of vendors to do the packaging during fulfillment of the products. Jumia supplies the vendors with packaging materials. 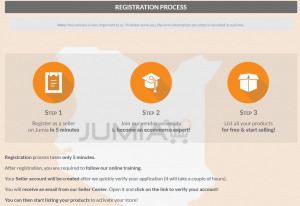 Yes, as a new vendor, Jumia does provide training on what you need to know and how to operate on Jumia. How does Jumia benefit from this? Jumia charges as little as 1% commission for all products hosted on their platform. This is how they benefit. Your pay will be wired to your bank account. 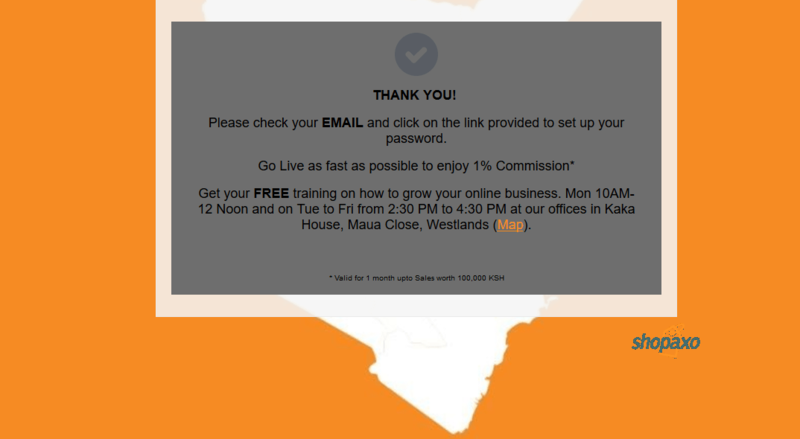 Alternatively you can receive pay via mobile platforms such as Mpesa, Airtel Money or Orange Money. I read a story of one guy from Kiambu town who made millions on Jumia in one week by taking advantage of a promotional week on to sell his products. Promotional events such as flash sales, Electroshock week, Black Friday and holiday offers can make you a lot of money if you have the right products. If you target the right people and offer incentives, you can make a killing. I have discovered that the most successful products to sell on Jumia are phones. Jumia sold thousands of mobile units last year than all other sellers in Kenya combined. This does not mean that other products do not sell. Also note that you will be competing with other vendors on the same platform. Setting up a shop is not enough; you need to convince buyers to buy from you and not the next vendor who has his/her shop on Jumia. Make sure you go through their training, this equips you to handle any challenges and unforeseen huddles you may encounter as you trade. Build your shop profile by only offering original products and fulfilling orders very fast. Now you know how to sell on Jumia. Remember setting up shop on Jumia is the easy part. As a vendor, you will have to make your customers happy. Personally I trust vendors I have bought from previously, it important for you to add value and give your customers a reason to come back. If you have set up a shop by following this guide, congratulations and good luck. I will be honored if you gave me a feedback on how you are doing.